The Cove high gloss white 4 piece vanity unit suite, make the most of your bathroom with our practical and attractive furniture options. 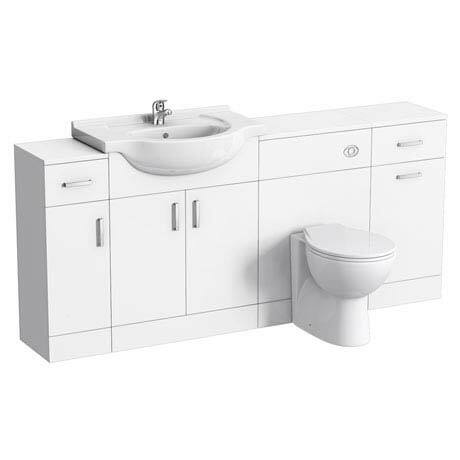 All white gloss vanity units feature a high quality ceramic basin. This white gloss bathroom furniture pack will look clean and smart in your bathroom and is supplied rigid for ease of fitting. All units come in a stylish white high gloss finish. Can be used in conjunction with 300mm depth furniture from the Cove range. Bathroom suite comes as separate units. 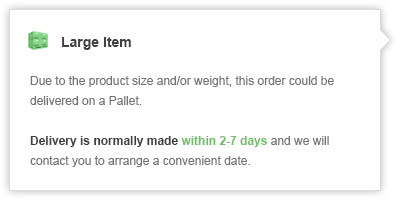 "Product quality is good at a competitive price, all well packaged, although not yet installed I can't see there been any issues."